Have questions about this product (ID: 2343)? Union City Wall Mount Medicine Cabinet 24” White Eco Friendly MDF Adjustable Shelves ½” Beveled Frameless Mirrored Door features a solid and chic look that suits your bathrooms, half baths and powder rooms. 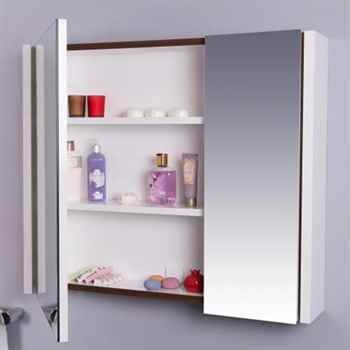 This beautiful pre-assembled White color medicine cabinet made of first quality MDF, spray painted without human touch, comes with 2 adjustable shelves to easily accommodate your toiletries and double door with soft closing hinges. Frameless mirrored doors offer different viewing angels.